SAN FRANCISCO, CA–(Marketwired – November 21, 2016) – Zephyr Real Estate has announced the Third Quarter Sales Awards for its Marin office. Highest Sales Volume Award-Individual Agent went to Andrew Roth with $7.18 million. Roth, always in the top rankings, has a strong background in both commercial and residential real estate. He is partnered with Jenn Pfeiffer, a long-time Marin resident and Realtor, and together they form the Domain Marin team. He represents clients on both sides of the bridge in San Francisco and Marin. In addition, Andrew Roth received the Largest Sale Representing Buyers Award with a $2.22 million transaction. Highest Sales Volume Award-Agent Team went to David O’Brien and Deirdre O’Brien with $8.69 million. 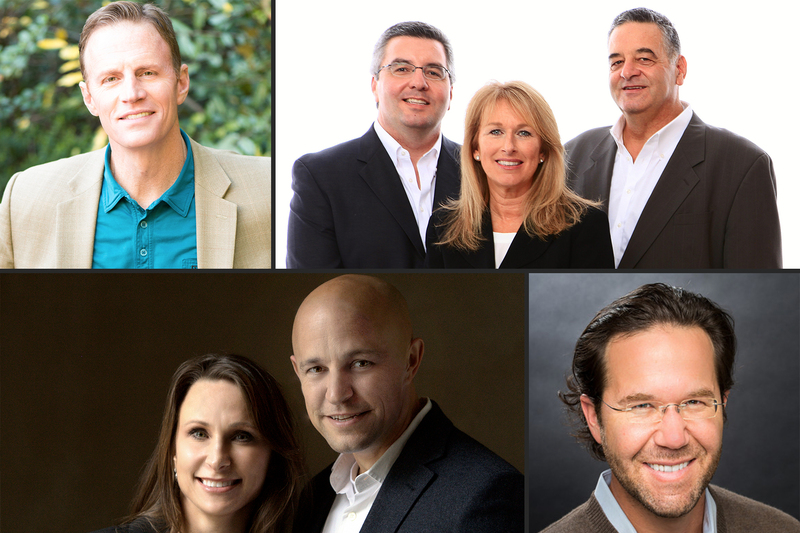 They are consistent top producers, and David belongs to the Top Agent Network and the Marin Realtor Business Group. His many certifications and designations include Graduate Realtors Institute, Accredited Buyer’s Representative, Senior Real Estate Specialist, and he is endorsed by the Charfen Institute as a Certified Distressed Property Expert. David O’Brien also claimed the Largest Sale Representing Sellers Award with a $2.28 million transaction. Highest Number of Transactions-Individual Agent was awarded to J.J. Davis with a total of five. Davis utilizes an aggressive and thorough marketing strategy for his listings. A former professional athlete, Davis has played for both the Atlanta Falcons and Indianapolis Colts, and brings that same driving force to his clients. Highest Number of Transactions-Agent Team went to Spiro Marin with a total of nine. This team is comprised of Spiro Stratigos, Dorothy MacDougald and George Stratigos. Together their skills create a powerhouse team that is a forerunner in the industry, covering all the bases for their clientele. Founded in 1978, Zephyr Real Estate is San Francisco’s largest independent real estate firm with nearly $2.3 billion in gross sales and a current roster of more than 300 full-time agents. Zephyr’s highly-visited website has earned two web design awards, including the prestigious Interactive Media Award. Zephyr Real Estate is a member of the international relocation network, Leading Real Estate Companies of the World; the luxury real estate network, Who’s Who in Luxury Real Estate; global luxury affiliate, Mayfair International; and local luxury marketing association, the Luxury Marketing Council of San Francisco. Zephyr has six offices in San Francisco, a brand new office in Greenbrae, and two brokerage affiliates in Sonoma County, all strategically positioned to serve a large customer base throughout the San Francisco Bay Area. For more information, visit www.ZephyrRE.com.